A bumper update this week – we’re closing on target. I’m still not entirely sure where the end point is going to be, but it’s not far away for the first draft. It might be as close as next week. I managed to get a whole bunch of stuff written this week, and we’re sitting pretty at 105,302 words. 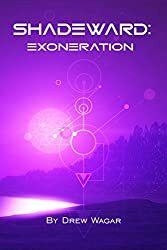 T. James, fellow author of ‘Out of the Darkness’ seems to be in a similar position with his book, and has written an excellent blog post about this aspect of writing. It’s worth a look. 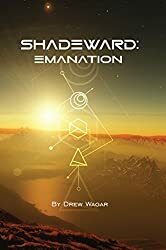 There were aspects of the original game and fiction that really got people hooked, what where they and why did they have such an effect. More importantly, how can the current writers inject new concepts into the game? Raxxla… Does it exist, or does it not? If it does, then on Raxxla there’s an alien construct that’s a gateway to other Universes, and all that’s in those Universes in the way of bounty, and treasures, and aliens, and life . . . It wasn’t even in the game, though that didn’t stop many of us spending hours looking for it… you just never knew, did you? It remains to be seen whether Raxxla will be featured in Elite Dangerous. The Dark Wheel was a semi-legendary space unit, star-riders who made it their business to seek the truth behind the plethora of myths and romantic stories that filtered back from all corners of the Universe: fabulous cities, parallel worlds, time travellers, even planets that appeared to be the old ‘heaven’ of Earth legend. The Dark Wheel was as mysterious and as mythical to the traders of the Galaxy as King Arthur might have been to the first spacemen. Before the development of the WS Thru-Space drive, in all its various forms, interstellar travel occurred in large, self-sustaining environment ships – Generation Ships – most of which have now been logged and their progress monitored. There are more than seventy thousand of these immense vessels ploughing their way through the galaxy, some of them into their 30th generation. The penalty for interference with such a vessel is marooning. These ships were another great idea which wasn’t in the game, but a wonderful piece of background colour. I even wrote a short story about these enormous vessels, what might have happened aboard after all those generations. You can grab it free as part of ‘Alien Items’ – look for ‘Schism’. It’s one of my favourite short stories. The later games had their fair share too, though less in the fiction and more in the game itself. Commander Jameson (presumably of the original game) dying and leaving a ship to his grand children, of which you were one. The mysterious absence of the Thargoids in FE2 and the various missions inside FFE, leading you to eventually own the awesome Argent’s Quest vessel. Why were all these things so important? They were compelling. I had an email from a fan a couple of years ago saying that he spent months on the C64 version of Elite, compulsively searching for Raxxla, convinced it must be in the game. Alas, he never found it… but maybe he gave up too soon? 😉 That was the crux of the matter though, somehow these items became believable and compelling… almost obsessive. All of these things add that essential ingredient to the playing experience; immersion. The ability to lose yourself in the game, and wonder… what else is out there? It makes you feel like you’re just a small part of the overall universe, one of the big things that makes Elite different from the likes of Star Citizen or the Star Wars games and their linear story telling. Whilst the original games were player centric at a technical level, they never felt it. It wasn’t about you, it was about the universe at large. So the writers have been considering this carefully. What mythos and mystery can be inserted into the Elite Dangerous universe on top of what has gone before? What legends can we craft and weave into our tales to give you, both readers and players, something to obsess over for hours? Frontier have indicated they’re up for this too, so you’ll find clues, half-truths, tantalising bits of information that may confirm, or deny, or just re-inforce the ambiguity both in the game and in the stories. Are they in the game or not? Perhaps they’ll be added in later as the game evolves. Unlike the previous versions, Elite Dangerous can evolve and change with time. And what are they? Well you’re going to have to wait and see, aren’t you. 😉 So cruel! My publisher, Fantastic Books Publishing, is launching a brand new audio arm of their business next week via Indiegogo. Nothing is confirmed at this stage, but if their Indiegogo campaign is successful, and if they reach their stretch goals (an audiobook of Fusion containing one of my short stories is in the mix) and if (yes I know, a lot of ifs!) 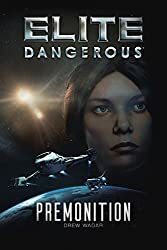 that momentum keeps building… there is a strong possibility that Elite Reclamation might be next to get the audiobook treatment too. This is all cool with Frontier, it’s part of my existing license. 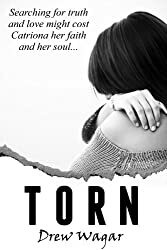 I think the story is exciting enough as it is, but I idea of it being turned into a proper audiobook (and potentially dramatised with music, sound and actors) makes me dizzy with excitement. It would bring it to life in a totally new way. If you enjoyed my Prologue, multiply that by about hundred and you’ll get the idea. The sky is, quite literally, the limit. Response to my reading was overwhelmingly positive, even Frontier chipped in. Audiobooks are clearly popular and some of the other authors are looking at this too. 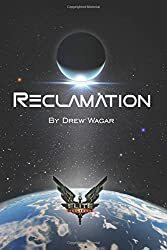 Elite Reclamation will come out as an audio book. Ideally this will be via Fantastic Books Audio. If that avenue fails to materialise I’ll do it myself. The level of quality will be at the highest I can possibly produce. I think you know me well enough by now to be sure I won’t settle for anything half-baked. Timescales and pledge levels to be confirmed. I’ll post up the Indiegogo link when we’ve got it. We’ve all seen the power of crowdfunding and what a motivated community can do. They said Elite Dangerous would never get funded. It was. They said Kickstarting a Kickstarter was a crazy stupid idea. They were wrong. They said publishers wouldn’t be interested. Yeah, right. Elite, the game, the books, the whole shebang – it’s a roller coaster ride from beginning to end. Let’s make this another corkscrewing high-gee turn. My childhood memories of the fictional ‘extras’ in original Elite game are a little mixed. If something was mentioned in the fiction, like The Dark Wheel for example, then I was excited thinking I could find it in-game, but only slightly disappointed when I couldn’t. If something was described in the manual then, for me, that was different. After spending hours looking for this cool stuff, I actually felt really let down and cheated. Call me cold and practical, but, aged thirteen, if something was in a manual it was part of the game. I came away not feeling like I’d been on a great adventure, but wasted tens of hours of game time I could have been doing something fun. When was the last time you read an epic adventure where the heroes went bravely forth to find… not a sausinge. Interesting T. James. I believe, though I may be wrong, that Robert Holdstock contributed much of the material for the Elite Manual, making it less of a factual instruction booklet. Of course, that runs the risk of including stuff that, as you say, isn’t in the game at all and was never intended to be. I doubt there will even be a manual for Elite Dangerous, more likely some online FAQs, a training mission or two, perhaps a flightsim within the flightsim as it were. Oh, I’d be quite disappointed if there wasn’t a nice paper manual. To be expected these days I suppose though. Nice update and exciting news about the audio book (even if they’re not really my thing). I was also most disappointed at the lack of graveyard in Tionisla. If you do an audio book then you have to read it! Very informative update, Drew. Thanks. As you are the silver tongued master of oration, I agree with Michael that there wouldn’t be anybody better suited than yourself to read your excellent work. Glad you’re winding up. The stuff about the legends. I did exactly the same with Tionisla and spent time looking out for the generation ships. My own quest though was for Earth.